Robert Axtell, Ph.D. from the Oklahoma Medical Research Foundation (OMRF) is one of five recipients of this year’s Grants for Multiple Sclerosis Innovation awarded by EMD Serono. 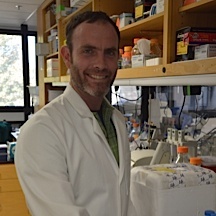 His project was selected from more than 200 worldwide and, thanks to this award, the OMRF scientist will receive $280,000 to study the role that a pair of molecules play in the multiple sclerosis (MS) progression. Dr. Axtell believes that the OMRF’s Multiple Sclerosis Center of Excellence research facilities bring together the resources and the research capabilities to do “a lot of important science,” in his own words. “With grants like this, we can really crack some of the interesting puzzles that these neuroinflammatory diseases challenge us with,” he said. This study will be focused on the role of BAFF and APRIL, two inflammation-causing molecules, and whether inhibiting these molecules helps improve the disease or, on the contrary, if it worsens the condition. Experimental models of multiple sclerosis and neuromyelitis optica (a disease with similar symptoms) will be used. 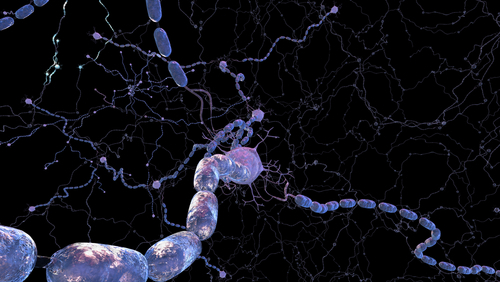 In MS, the immune system attacks myelin — a lipid and protein sheath-like material that protects nerve fibers — in an autoimmune process that shouldn’t normally happen. The disease causes symptoms that include tremors, vision impairment, painful spasms, cognitive changes, imbalance, and even paralysis. 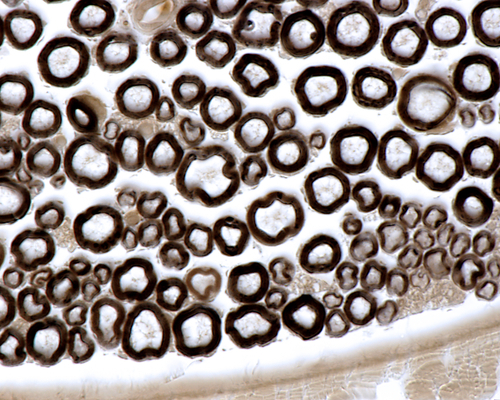 “The results of this research will provide us with a better understanding of the differences between MS and other autoimmune diseases, like lupus and rheumatoid arthritis,” said Axtell. Judith James, M.D., Ph.D., the leader of OMRF’s autoimmune disease research program, thinks that this grant will have important repercussions in patients’ lives. At OMRF’s Multiple Sclerosis Center of Excellence, treatment is provided for more than 2,000 patients with MS. “Collaborations between basic and clinical investigators that address clinically meaningful questions are critical to our success and provide the resources necessary to help improve patient care,” said James.